The Scholarship committee is responsible for administering the fund for WSRID members who are taking a performance examination through RID. The Shelly A. Smith Memorial Scholarship Fund was named in memory of a WSRID member who worked diligently to support interpreters on their road to national certification. It is the fund by which WSRID helps to fulfill part of its mission: to educate, to support, and to promote the RID certification of interpreters. Each year the WSRID Board of Directors budgets moneys for five scholarships of $150 each. Additionally, there may be special fund-raising events; therefore, the number of scholarships and the amount awarded may change from year to year. The Scholarship Committee collects and hold applications throughout the year and makes recommendations to the Board quarterly. Recommendations are of a general nature-names remain confidential. Recipients are then notified of their award. Receiving the scholarship is an honor and recipients are expected to follow through promptly by applying to national RID in a timely manner. General requirements: Must be a member of both RID and WSRID; must have passed the written portion of the RID evaluation (or have the written evaluation requirement waived by RID); must be actively involved in the profession and working towards certification. 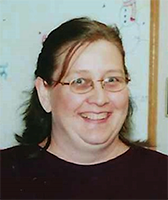 The Kathy Loucks Educational Interpreter Scholarship Fund was named in memory of a WSRID colleague who was passionate about educational interpreting, an advocate of the EIPA process, and an ardent supporter of K-12 interpreters. It is the fund by which WSRID helps to support K-12 interpreters seeking to be in alignment with Washington State EIPA standards, fulfilling part of its mission to educate and support interpreters. Each year, the WSRID Board of Directors allocates funds for 4 EIPA scholarships of $150 each to be used toward EIPA written or performance assessment fees. Additionally, there may be special fundraising events; therefore, the number of scholarships and the amount awarded may change from year to year. The Scholarship Committee collects and retains applications throughout the year and makes recommendations to the Board quarterly. Recommendations are of a general nature, and names remain confidential. Recipients are then notified of their award. Receiving the scholarship is an honor, and recipients are expected to follow through promptly by pursuing the EIPA in a timely manner. General requirements: Must be a WSRID and RID member in good standing for a minimum of 12 months prior to scholarship application; must be actively involved in the profession.